Reveal healthier, younger looking skin with this easy-to-use cleansing brush for both beginners and professionals. Features 2 speed settings and is lightweight, making it great for travel. Includes 5 attachments to provide a full-range of cleansing options. 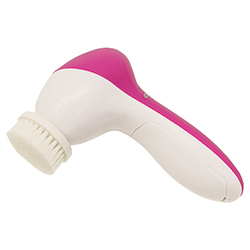 Brush: Penetrates pores for deep cleansing. 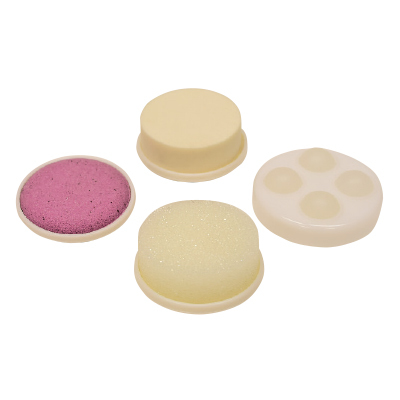 Pumice: Exfoliates to reveal more youthful skin. Latex Sponge: Gently cleanses. Foam Sponge: Gently exfoliates. Massager: Improves circulation. Requires 2 AA batteries (not included).